A major new exhibition at Tate Modern reveals the intertwined stories of photography and abstract art. 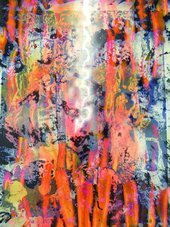 Shape of Light: 100 Years of Photography and Abstract Art is the first show of this scale to explore photography in relation to the development of abstraction, from the early experiments of the 1910s to the digital innovations of the 21st century. Featuring over 350 works by more than 100 artists, the exhibition explores the history of abstract photography side-by-side with iconic paintings and sculptures. Shape of Light places moments of radical innovation in photography, such as Alvin Langdon Coburn’s pioneering ‘vortographs’ from 1917, within the wider context of abstract art. 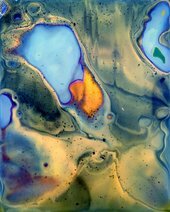 This relationship between media is explored through the juxtaposition of works by painters and photographers, such as cubist works by George Braque and photographs by Pierre Dubreuil, or the abstract expressionism of Jackson Pollock and Otto Steinert’s ‘luminograms’. Abstractions from the human body associated with surrealism including André Kertesz’s Distorsions, Imogen Cunningham’s Triangles and Bill Brandt’s Baie des Anges, Frances 1958, are exhibited together with a major painting by Joan Miró. Elsewhere the focus is on artists whose practice spans diverse media including photography, such as László Moholy-Nagy and Man Ray. The exhibition also acknowledges the impact of MoMA’s landmark photography exhibition of 1960, The Sense of Abstraction. Installation photographs of this pioneering show are displayed with some of the works originally featured in the exhibition, including important works by Edward Weston, Aaron Siskind and a series by Man Ray that has not been exhibited since the MoMA show, 58 years ago. The connections between breakthroughs in photography and new techniques in painting are examined, with rooms devoted to Op Art and Kinetic Art from the 1960s, featuring a striking painting by Bridget Riley and installations of key photographic works from the era by artists including Floris Neusüss and Gottfried Jäger. Rooms are also dedicated to the minimal and conceptual practices of the 1970s and 80s. 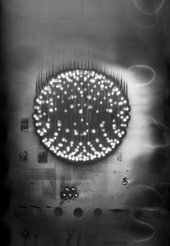 The exhibition culminates in a series of new works by contemporary artists, Antony Cairns, Maya Rochat and Daisuke Yokota, exploring photography and abstraction today. Shape of Light is curated by Simon Baker, Senior Curator, International Art (Photography), Tate Modern and Emmanuelle de l'Ecotais, Curator for Photography, Musée d'Art moderne de la Ville de Paris with Shoair Mavlian and Sarah Allen, Assistant Curators, Tate Modern. The exhibition is accompanied by a fully illustrated catalogue from Tate Publishing and a programme of talks and events in the gallery. Hyundai Card is a leading premium credit card firm based in Seoul, Korea. It is a subsidiary of Hyundai Motor Group. It has been named the credit industry’s “Most Respected Company” and ‘Most Desired Employer’ by KMAC, Korea’s largest management consultancy association. It was also ranked #1 in customer satisfaction for five years in a row by Korea’s National Customer Satisfaction Index. As one of Korea’s largest hosts of cultural events, Hyundai Card seeks to identify changes in our culture, society, and technology and utilize them to enrich lives. Whether Hyundai Card hosting tomorrow’s cultural pioneers at our stages and art spaces, building libraries on design, travel, music, and cooking for our members, or designing credit cards and digital services that are as beautiful as they are functional, Hyundai Card’s most inventive endeavours all draw from the creative well that the arts provide. Shape of Light is the third exhibition in a three-year commitment by Hyundai Card to Tate Modern’s expanding exploration of photography. We hope that visitors will be engaged and their curiosities kindled by the dynamic and boundary-pushing work of these important artists. For more information, please visit www.hyundaicard.com. 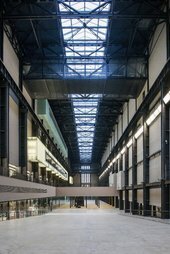 For press information contact Kirsten.Cowie@tate.org.uk or call +44(0)20 7887 8732. High resolution images can be downloaded from Tate's Dropbox. This link will expire when the exhibition has closed.